On October 12, 2000 I like the rest of the world learned about the attack on the USS Cole while docked in Aden, Yemen. 17 naval personnel were killed and 39 injured as result of the bombing that blasted a 40 by 40 ft. hole into the side of the ship. My heart went out to the families just as it did with any massive tragedy orchestrated by man. I thought it a senseless attack but overtime the attack went to the back of my thoughts. However, there were 17 families whose lives were forever changed by the event a world away. In May 2007, I crossed paths with a man by the name of Anton Gunn while attending the 2007 Black Expo in Columbia, SC. He was the first employee hired in South Carolina as State Political Director for the Obama Presidential campaign. Physically he is a force to be reckoned with at approximately 6′ 5″ and former football player for the USC Gamecocks. I had already decided to support then Senator Obama but was encouraged to also volunteer by Anton. Later conversations would lead to the discovery that Anton Gunn is the older brother of the late Cheron L. Gunn, Seaman United States Navy one of the crew killed in the USS Cole attack. Anton a driven, dedicated man to social issues and making this world better for his daughter, makes USS Cole attack not merely a memory but a reality. He credits his younger brothers death for being in large part the reason “why I get up every single morning to try and make a difference in this world.” Today for the Gunn family and 16 other families was a day of remembering loved ones taken before they had the chance to see their full potential. It has been 2 months to the day that you left us. Since that day I have been trying to find the words to say what I really feel about all that has happened. I still can’t say totally, and I don’t know for sure what I feel. I can say that, I miss you. I hurt to know that you aren’t coming home in February. I hurt to know that I won’t ever see you again on this earth. I hurt to know that you were taken away from us by a senseless, cowardly act of ignorance! I will never understand why the innocent are punished and the guilty remain unpunished. I know you probably understand all of this, from your position by God’s side. I pray that I also have that understanding one-day. But, until then I will remember you as you were, my little brother. The brother that would call when he needed advice. The brother that would call to critique the latest Hip Hop CDs. The brother that would call and talk about how well the Oakland Raiders are doing (by the way they are pretty good, this year). The brother that would always show how much he loved people. The brother that made it to my wedding, even though you had to report to your ship. The brother that made his own path and followed in the footsteps of no one. The brother that was the “big” brother to Jason and Jamal, after I left for college. The brother that learned by doing. The brother that worked hard at everything you did. The brother that would unselfishly give is last to make sure others were taken care of. The brother that helped me to realize what is really important in life. The brother that joined the US Navy to see the world. 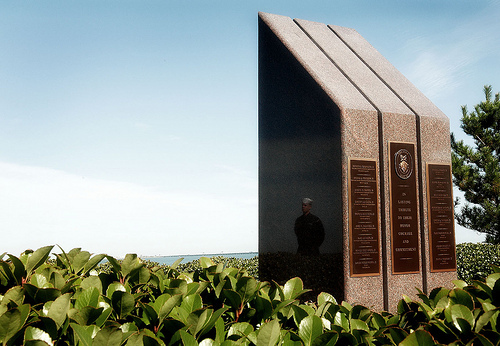 The brother that served unselfishly the entire time in the Navy. The brother that loved life with a smile. The brother that died a national hero. The brother that died protecting the freedom we once took for granted. Cherone, you are my hero. You are wonderful example of how we all should live. Your spirit of unselfishness will remain with me forever. October 12, 2000 will never be forgotten. I will do my best to make sure that no one ever forgets that day. That is the day you were take home to be with God. That was the day 17 families were changed forever. That was the day that my life stood still. That was the day we all were reminded of how precious life is. You physically are not with me anymore, but spiritually you will always be by my side. You are my Guardian Angel. Protect me as the Lord protected you. I LOVE YOU. 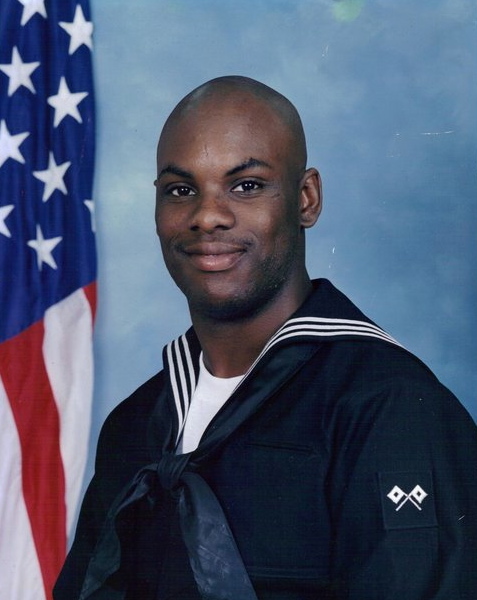 This is written in memory of Signalman Seaman Recruit Cheron L. Gunn and the 16 individuals killed on October 12, 2000 during the USS Cole attack. Your families and I will not forget you. This post was originally made on October 12, 2012. It includes a letter from the brother of Seaman, Cheron L. Gunn killed during bombing of the USS Cole. On this the 15th Anniversary, I repost so that we do not forget this terrorist attack.